People often ask me for either the entrepreneur in themselves or others, what are the best things you can buy? First, I am not into buying things, but investing in them. If the item you buy returns many-fold back to you either through knowledge, productivity, or simply making you more effective and efficient, then it is actually an investment! So what are the best things you can buy (invest)? I want to briefly clarify to not try to rationalize buying all sorts of things you don’t need thinking it is an investment. It isn’t about spending more or spending less, but spending SMART! Here is my list, and with it you can see what I mean when I look to spend on items that are for me an investment! Audible Audio Book Subscription – I am a big fan of audiobooks. Since I am stuck in traffic everyday, I either listening to a book on Audible or a podcast. The average American spends 24.3 minutes in traffic a day, equivalent to 100 hours a year. That’s more than the average two weeks of vacation time (80 hours) most workers take! What do you do during those 100 hours? I recommend that you attend the University of the Automobile! According to Thomas Corley, the author of Rich Habits: The Daily Success Habits of Wealthy Individuals, reading and listening to audio books are “rich habits” that separate the rich from the poor. The SMART wealthy in particular love non-fiction, specifically self-improvement books. They “are voracious readers on how to improve themselves” and 88% of them read for self-improvement for at least half an hour every day, compared to 2% of poor people. 64% of the rich listen to audio books during their commute to work, compared to just 5% of poor people. Includes one free audiobook of your choice per month. Includes two free audiobooks with your free trial. 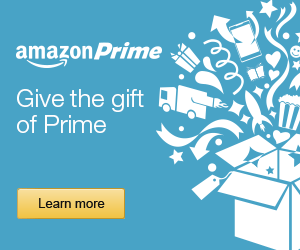 Amazon Prime – Prime is awesome and you can give a membership to anyone instantly! FREE two-day shipping on millions of items (Hawaii is 3 to 5 days), instantly watch 40,000 movies and TV episodes, borrow Kindle books and more! This is part of reading with Kindle. But Amazon Prime has definitely saved me quite a bit of money. Shipping gets really expensive living in Hawaii so that alone is well worth the price! The membership includes Prime Video, Prime Music, Prime Photos, and Kindle Owners’ Lending Library. They have exclusive coupons for some items, so if you are a savvy shopper, this is perfect addition! 86% of rich people say they love reading and not surprisingly only 26% of poor people love reading. As mentioned above, rich people love reading and they favor nonfiction, in particular, self-improvement books. “The rich are voracious readers on how to improve themselves,” says Corley. In fact, 88% of them read for self-improvement for 30 minutes each day, compared to 2% of poor people. Want to know what books I recommend? Click here! 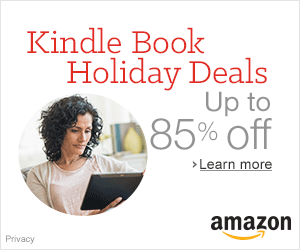 Right now Amazon has a deal for up to 85% off certain books. Amazon Echo – OK, yes, I like Amazon, and buy virtually everything from there that I can. I should be a spokesperson! The Amazon Echo is a voice activated speaker that instantly turns your home into a smart hub. You can play music, ask questions, check the weather, news, and much more instantly. It connects with a wide variety of devices and control things like your lights and switches. It recognizes your voice from afar through Alexa, a cloud-based voice service. SlimFold Wallets – This is a minimalist wallet made of a soft shell that was subjected to 70mph crash-testing on real pavement and purported to be the world’s thinnest and lightest wallet. Really bad for your back to sit on a thick wallet! Made in San Francisco, it has RFID blocking, designed to help insulate you from electronic pickpocketing. To read more about the wallet, click hear to read a review I wrote after testing it. SMART Pair of Headphones! – Whether you are traveling, working out, at work, you need a good quality pair of headphones. The problem is there’s so many good ones! Here are some of my favorites. Bose Noise Canceling Headphones – If you’re simply looking for the best noise canceling headphones in the market and bulk isn’t an issue. Bose Noise Canceling Earbuds – Perfect if you want a little more portability (these fit in your pocket). Ear Hero Pro – These headphones are great if you still want to maintain awareness – perfect for riding your bike or conversations at the office. AcousticSheep – If you want to listen to music while you’re sleeping. 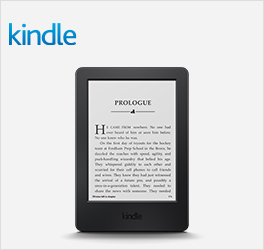 Amazon Kindle – If you are lugging around books and magazines, you may want to get a Kindle. There’s nothing like having hundreds of books in your back pocket. The ability to switch from fiction to non-fiction, keep your spot synced across all devices, and easy highlighting makes reading (and retaining) dozens of books a breeze. Anova Cooker – Cooking meets technology. This Sous Vide cooker cooks chicken, steak, and more all to the perfect temperature through an app on your phone. Simply throw your meal into a ziplock bag, choose the right temperature (135 degrees for medium rare), and kick back (you can’t overcook it). Flipbelt – If you’re a runner (or hate carrying your phone at the gym), the Flipbelt is your savior. This stretchy belt swallows your keys, phone, and wallet and keeps it tight around your waist so you can run for miles without ever feeling them. 57% of rich people watch what they eat and take care of their health, compared to 5% of poor people. Start exercising! AeroPress Coffee Maker – What list of gifts is complete without a coffee maker? This magic syrup tastes amazing, makes you more productive, and is a great excuse to meet up with friends. This coffee maker brews a stronger cup of coffee than a French Press, takes up half the space, and won’t break if you take it camping. Portable Battery Pack and Charger – No list is complete with a portable battery in today’s day and age. Ever at 5% battery with the day still ahead of you and nowhere or no time to sit and plug your phone in? Don’t be the person at the airport struggling to find a seat next to a plug. Or even worse the person with a dead phone in their pocket. With this portable battery, you have 2-3 phone charges ready to go right in your backpack. Think SMARTER and Live SMARTER….and Shop (Enjoy) SMARTER!